John Carter has been working for over 10 years with different types of healing modalities having trained in various forms of energy and sound healing. 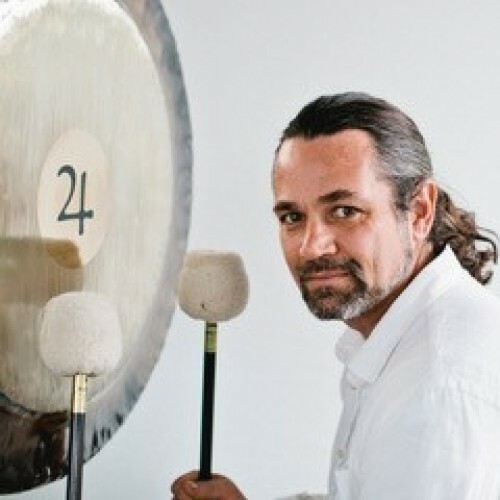 He now has developed a practice using Paiste Planet Gongs and other sound instruments along with energy work, crystals, meditation and breath work. He also is involved in running the Sundara Community camp and many other yoga/spiritual events and workshops around the country. John says, “I believe that each person’s journey to a happy healthy life is an individual experience and feel that sound and energy work can play a big part in bringing balance to people’s lives”. John offers 1-1 treatments and group sessions at The Isbourne and is happy for you to get in touch with any questions you may have regarding having a sound therapy session.